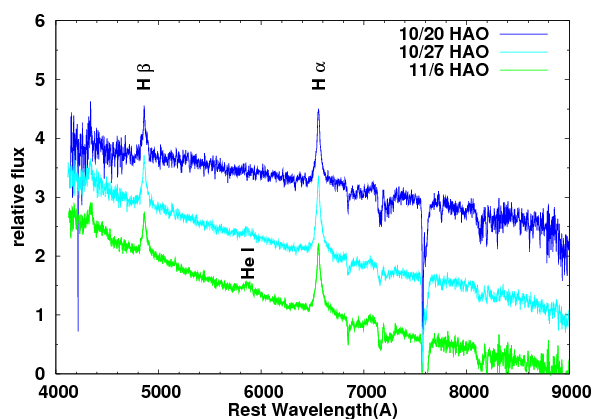 We update the light curves of the optical transient in UGC5460 (SN 2011ht). 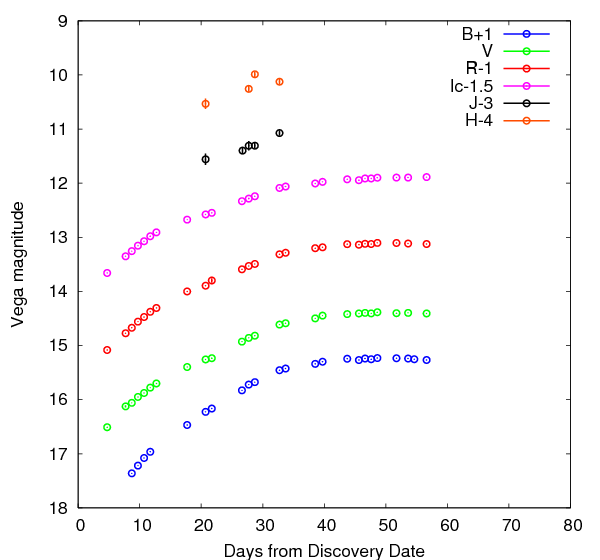 We update the light curves of 2011-OT UGC5460. We update the light curves of the optical transient in UGC5460. This object is classified into Type IIn supernovae in CBET 2851. 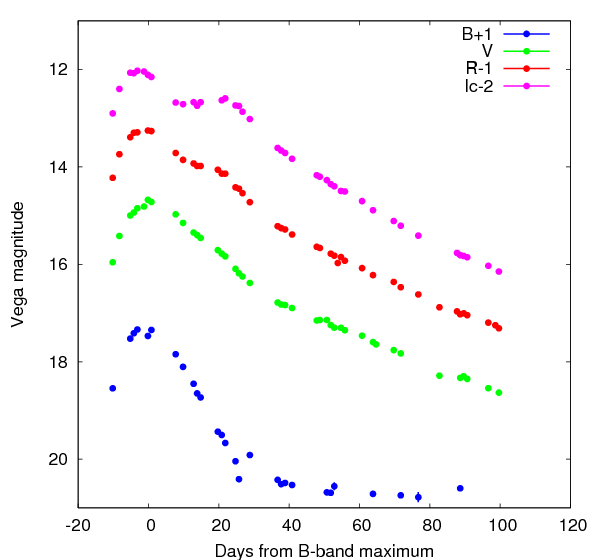 The brightness reached maximum light on around Nov. 15 in B-band. Its brightness seems to be plateau. 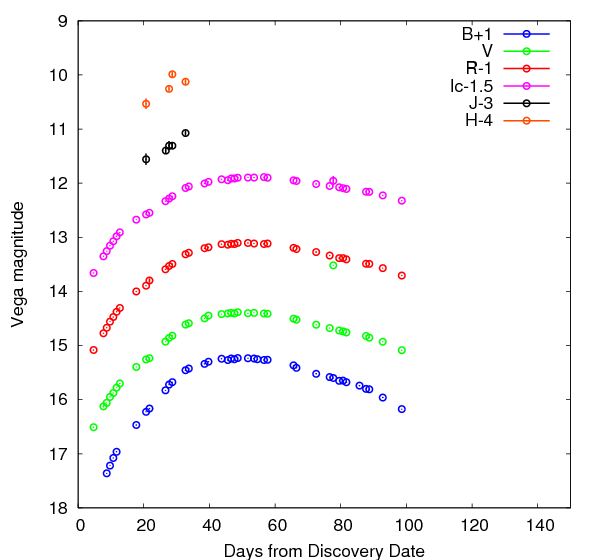 We update the light curves of Type Ia SN 2011ek. We performed photometric and spectroscopic observations of PSN J10081059+5150570 in UGC5460. The spectra exhibit the emission lines of Balmer series. These features are composed of three different velocity components. The broader ones show the FWZI (Full Width of Zero Intensity) of around 10,000 km/s. The narrower ones show that of lower than 700 km/s, respectively. These features indicate that this transient could be classified into Type II"n" SNe or LBV. On the other hand, the light curves indicate the slow rising in optical and near-infrared wavelength. The apparent magnitude reach 14.5 mag in V-band on Nov. 7. The absolute magnitude is roughly estimated to be -16.5 mag. These facts support that PSN J10081059+5150570 should be a Type IIn supernova. 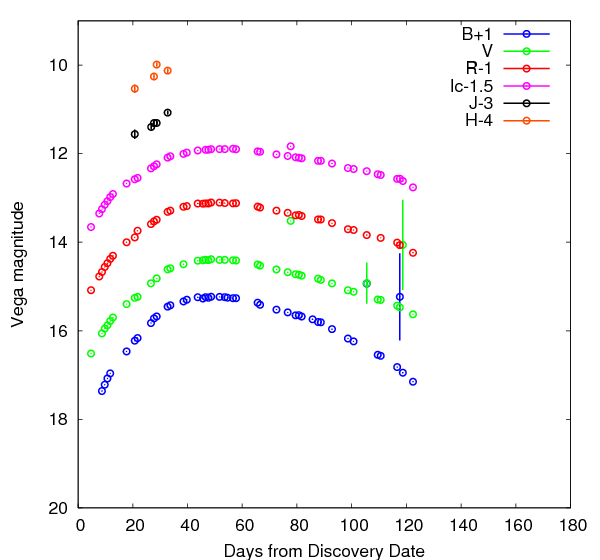 ■ [LBV] Optical Transient in UGC 5460 : still rising ! 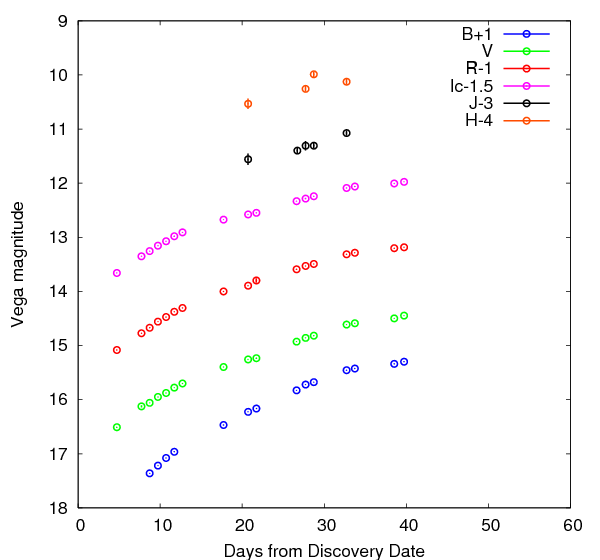 We update the light curves of the optical transient in UGC5460. The brightness still increases!